Dacia has moved production of right-hand drive Duster models from India to Europe, after dozens of cases of rust emerged. 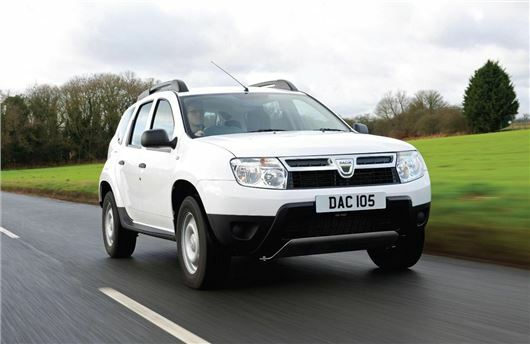 Dacia says that the transfer of production is unconnected to the 90 complaints it has received so far from UK Duster owners about corrosion on their cars and that the timing of the production move is coincidental. UK-bound Dacia Dusters were produced in Renault-Nissan’s Chennai factory in India until summer this year (2014), when production was shifted to Dacia’s Pitesti plant in Romania, where the company already produces left-hand-drive Dusters. The spokesperson said: “Having the production moved to the Pitesti plant in Romania means we can get cars to customers quicker. The lead time for a right-hand drive Duster to the UK [was] around eight weeks [from Chennai], so for economic and logistical reason’s we’ve moved production. The waiting time for a Duster has been reduced by three- to four weeks by moving production from India to Europe, estimates Dacia. Dacia says that it was first made aware of the corrosion issue in ealy 2014 and immediately instigated a “robust fix,” including contacting owners through its website and offering an inspection and free repair if necessary. Any repaired car receives a free additional one-year paintwork and corrosion warranty. The original statement, dated 16 June 2014, can be found here. Since that statement the company has received communications from 161 Duster owners: 90 to report rust, and a further 71 to enquire about the issue. This is in the context of 20,000 Dusters sold so far in the UK since its launch in mid-2012. The issue with the paintwork does not affect every Duster produced in Chennai, which is why Dacia is offering an inspection rather than a recall, and it does not affect any other Dacia model or any other vehicle produced at the Indian plant, which is joint owned with Nissan. The full August statement can be viewed here. Well done to Renault on accepting the issue and providing a long term solution. For more in-depth information on the history of this so-called "paintwork protection" issue, Google "Do You Have a Rusty Duster" and open up the DaciaForum (dot)co(dot)uk result. This will undoubtedly open up the eyes of any prospective Duster buyers. There are links to numerous other sites within this, documenting both the rust issues themselves, and the true nature of Dacia's so far sub-standard approach to dealing with them. It very interesting to read so many inconsistencies in this story. Some key points are that they have been well aware of the problems sincerely May 2013, though they continued to ignore the problem until it starting gaining publicity in June of this year. Similarly I'm not sure where the 20,000 Dusters have been sold in the UK as Renault them selves state that they have 11,000 owners. They also state they have contacted nearly all to arrange inspections, yet they seem to have missed a number of owners who have already made complaints. I would bet 95% of owners would be blissfully unaware of the cars rusting away because the majority of the areas affected are concealed. If you as an owner are not actively following the companies Social sites, trawling their website for news or member of a forum then there is every chance it would go unnoticed for sometime. The quality of those inspections already carried out not what anyone would call comprehensive with statements like i't will be non-intrusive' and 'no disassembly required because we know where to look'. Is this supposed to instill confidence in those owners suffering with a new car that has rust from the factory. It seems anything they do is completely reactive. The last statement coming conveniently the day before a press article in WhatCar magazine was published. I would strongly recommend going to DaciaForum (dot) co (dot) uk because there is a lot of good advice and rustydaciaduster (dot) co (dot) uk provides you with a list of places to check which is probably where the current Dacia inspectors got their checklist from too. I'm afraid the issue is probably endemic but the rust will take a while to work through the paint. The metal is untreated, and shipped for weeks to India by sea before finally getting a paint coating on top of whatever surface rust has formed. Unfortunately if you want to check if its galvanised or not there is still a false set of specs searchable in adverts on car buyer Ireland that claims they ARE galvanised....and this has misled many UK wide purchasers. However Dacia maintain no responsibility other than to paint over where rust appears during the warranty period. The Dacia reaction has been no worse than most other manufacturers but this is no comfort to owners with rust problems. As well as looking for dissatisfied owners on the relevant web sites also read the many happy owners reports. Some of the complainants are just professional complainers, my brother in law once had a car with a rattle and he when back and forth to the dealer 4 or 5 times with no result, I had a look and tightened up 2 screws in one of the rear hatch support struts, result cured. He could have done that but said because it was under warranty the dealer should do it. I had a vibration rattle at some engine speeds I could not find, the dealer took it for a test drive and found it was the sunblind support bracket being a smidgen larger than it should be, a little tape around the part that clipped into it, solved. could have had a new bracket under warranty but hey what the hell. So, are you suggesting that the owners of brand new cars with rust should rub it down and touch it up themselves? If not, I'm failing to see your point here. Anyone who gets that sort of treatment should complain. It's unacceptable. Your BIL was correct in his attitude. The dusters built in Romania use galvanised metal. The dusters built in India, are NOT galvanised. Galvanising on a mass economy of scales is cheap - this small cost cutting measure has cost Reanult/Dacia alot of money. Official DVLA stats state that as of quarter 3 10517 dusters are licenced - nowhere near 20,000. That aside there's other issues other than edges. My car, and I did take the plunge and removed panels despite Dacia not wanting to as part of the inspection process, and have found significant actual "patches" of rust beneath panels and trim. The bottom line is these cars are not galvanised and rely pretty much on the primer and paint to protect the metal below. Stone chips are going to rust but more concerning, and I have evidence of this, is that anything that continually rubs against the paint will remove it exposing bare metal below. Edges are just the start but even then you have to stop and consider that there are many edges, probably 75% you cannot see; inside the doors for example where I have rust - so many areas that aren't inspected. If they aren't removing the door cards or trim they're not repairing it! Renault should have been manifestly ashamed for allowing this to happen. 3 really great cars the duster, stepway and logan and they go and mess their reputation up big time? What is the matter with you? Rust is rust. It's unheard of these days and you go and give yourself a crisis equivalent to my beloved Lancia. Stop winging it and be truthful. I went into a local Renault garage in my town and asked about duster rust and got so much flaff and nonchalance it was painful. I bought a volvo in 09 and had similar issues about warranties what a performance that was. My Duster's paint started peeling from the top of the windscreen whilst using a jet wash (in France as it happens). On the negative side; there didn't appear to be any primer coat. On a positive note, the panel looks to be galvanised. The paint job is white; so I'll slap some touch up paint on it. I bought the car three and a half years ago. To be fair, there has been some communication from an outfit claiming to represent the manufacturer, I thought it was a scam. The main dealer didn't mention it (whilst happily accepting money for servicing) and that reinforced my view. Not long ago, a chap in a local Isle of Wight car park saw the paint missing from my roof panel and mentioned I should visit the main dealer. They didn't really want to know. The chap in reception sent me to the body shop, The chap in the body shop sent me to the on-site Dacia representative who pointed me back to Dacia (I can take a hint). Still good value compared with the rust buckets sold by all the manufacturers in the old days. However, Renault are going the right way to building a reputation like Lada and Skoda. You get what you pay for.